Of course we had to put together an extra-special round-up of much-loved gifts for foodies. We are both, after all pretty passionate about making food that tastes great (from scratch is the only way)! So what do you get the foodie on your list, or what do you want to ask for this year? Let’s get you started with our round-up PLUS amazing giveaways. 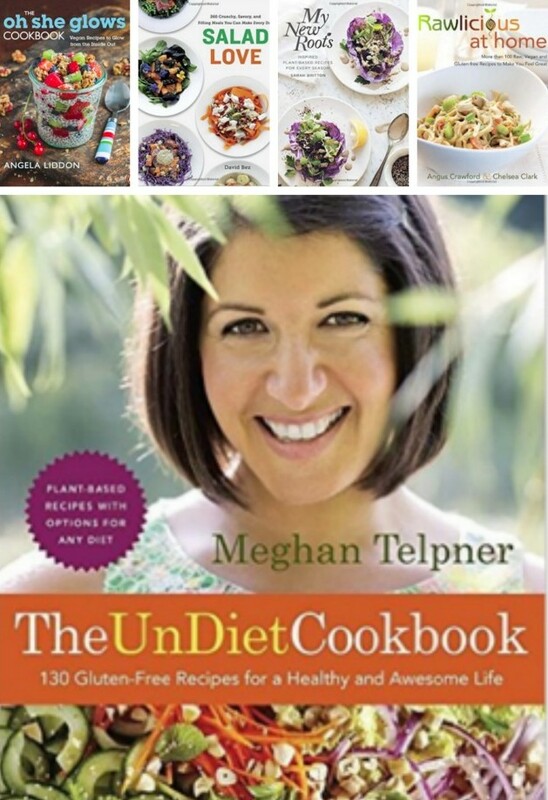 Read on for our favorite gift ideas for foodies! Some days you just don’t feel like hauling out your big stand mixer– and this kitchen gadget is the perfect solution! Heaven knows, we’re all in need of an upgrade on our hand mixers, which have been through a lot of cookie batters. Why not upgrade it to a hand mixer that has all the bells and whistles? The Handy Mix Scraper from Breville has Beater IQ – which is pretty cool. It knows which beaters you’re using and adjusts the ratio to suit what you’re mixing, has 9 speeds so you can get the perfect power for what your mixing, has a timer so there’s no need to use your iphone clock and it even has a light (!) so you can keep a close eye on what your mixing and know the exact moment when your meringues have gone from perfect peaks to over whipped. One of our contributors facebook messaged us recently and said “Have you tried the Breville Handy Mix Scraper before? It’s so freaking awesome! Who knew a mixer could be so cool!” We have to agree with her. Nana’s mixer just got an upgrade! Make sure to read all the way to the end for your chance to win one! 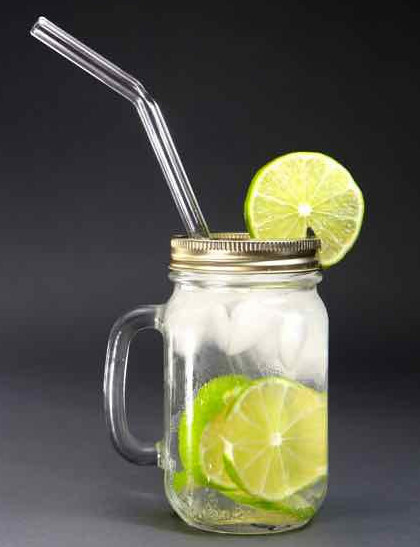 much as possible, and glass straws are a great way to do that. reader 2 floral glass drinking straws with cleaning brush. that there is another alternative to food storage. to plastic wrap for storing real food, the natural way. change the way people store food. We can get behind that! your favourite, or pick where you live. reader a handmade cheese board. cookbooks we love (or do you have all day)! for inspiration is vital for that creative process. you get with a The Missing Ingredient subscription. recipe card that will get you started on your culinary adventure. we haven’t met her yet! We just know our foodie friends will love this pick. soup, nut milk making (and more). it daily and it has stood up to every test I put it to. and their Will It Blend videos are HILARIOUS. Enter to Win from Our Gift Guide Below! Like this post? Make sure to check back all this week for our other holiday gift guides for the creatives in your life. We’ll have giveaways in each gift guide! See our gift giving ideas here including gift ideas for creative kids and gift ideas for DIY Dads. Disclosure: This post contains sponsored content and affiliate links. As with every post on Hello Creative Family, all thoughts and opinions are 100% our own. Joy they are FABULOUS and absolutely do not break easily. My 3 year old is pretty rough with his and it doesn’t have even a scratch! I would add the Evolve Cellars Rosé to my shopping list for my best friend. I’d love to gift the Breville Handy Mix Scraper to my mom! Wow, I think I would love to have all of those items on my xmas list! Does that count?! 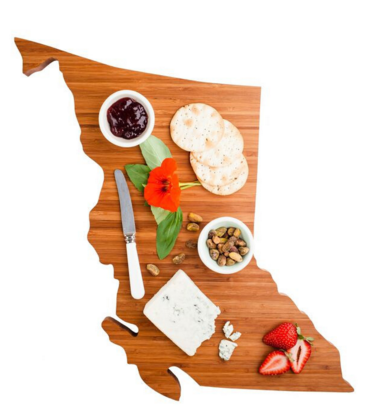 I love the cheese boards shaped like provinces! My husband would get a real kick out of it. I would like to add all of those to my Christmas list! I really like the idea of the Missing Ingredient Box, and would love to try the Abeego covers. I might add the love local cutting board to my list for my brother. He cooks a lot and would really love that BC shaped cutting board. I would buy the handy mix scraper for my mom so she could make her favorite angel food cake! The Blentec for my husband and myself. I think my brother would absolutely love the blendtec blender. I can’t even imagine what kind of drinks he’ll come up with. Ohhh…so many choices. The local board for my husband because we love serving picnic style. The blendtec for my sister who is just starting to love smoothies like me! The blendtec for my mom! The smores maker for my sister. I’d get the smores maker for my mom. Shes so hard to buy for but I know she loves smores! Wowza, how do I choose just one? I would love all of these, but #1 on my list would be the Blendtec as my blender is used a LOT at home and on its last legs (funny sounds, little leaking, etc.). I would love to get the missing ingredients from well seasoned. I like the cheese boards that are the provinces, my brother-in-law would like this. I would add the Salton Smores Maker to my list and I would buy it for my boyfriend who loves smores! I’d gift the Blendtec blender to my mom! Breville Handy Mix Scraper for my sister who loves to bake. The Breville – The Handy Mix Scraper for my mom. I would love to gift the Breville Handy Mix Scraper to my sister. I would add the “Breville – The Handy Mix Scraper”. Perfect for my sister who loves to bake! 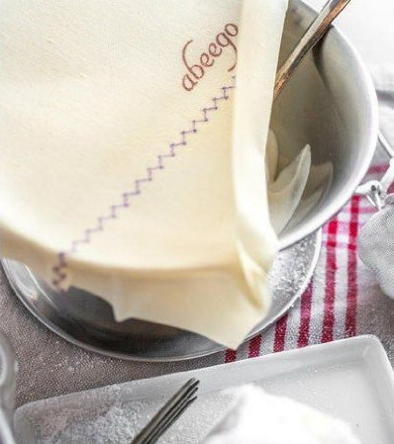 I would love to give Abeego a try! I would get a subscription to the Missing Ingredient for my sister-in-law who loves to spend her time in the kitchen. The Rose for my sister-in-law – she’s a fan! I would totally go for the Missing Ingredient Box for myself. 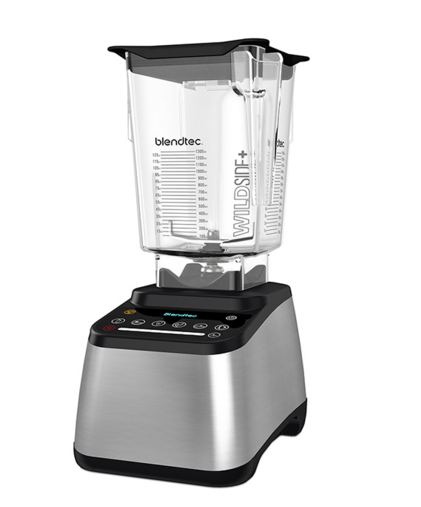 My inlaws were just telling us that their blender isn’t working properly so I’d love to give them the Blendtec if I won. The Handy Mix Scraper by Breville would be nice for my mon. 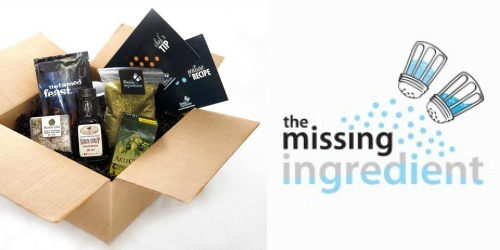 I’d chose The Missing Ingredient subscription, gift it to my better 1/2, WIN,WIN. Love My Local! My friend is VERY proud to be from Michigan, and would love a cutting board in the shape of her state! I would add the Salton S’mores Maker for my wife! My boyfriend would love the Blendtec. The Blendtec for my daughter the smoothie queen! The breville scraper for my sister! Definitely the Salton S’mores Maker for my sister and her family! 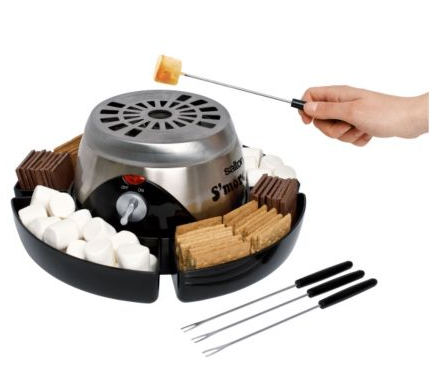 Would love the Saltons S’mores maker – so much fun! Hand mix scraper for my mom because I broke hers last year!! I would love to get the handmixer. Definitely get the Salton S’mores Maker for parties. It’ll be a highlight and so much fun! The perfect gift for me is the Breville mixer. It knows which beaters you’re using and adjusts the ratio to suit what you’re mixing, has 9 speeds so you can get the perfect power for what your mixing, has a timer so there’s no need to use your iphone clock and it even has a light (!) I hate having to use a large mixer so this is the perfect gift me. the Blendtec for myself please. Local cheese plate for my wife would be nice. I’d love to get the Abeego wraps for my mom. I love how they’re natural and reusable! I would add the Breville – The Handy Mix Scraper to my list for my daughter-in-law! I’d want Salton S’mores Maker for my daughter, she loves them. I would get the Breville mixer for myself. I would love the Breville – The Handy Mix Scrape for my mother-in-law. I would get the Breville Handy Mix Scraper for my mom who has been using the same sluggish hand mixer for like 25 years to make us all treats & I think it’s time for some real power! I would get the Blendtec for my son. He goes through blenders real fast. I would love the Blendtec blender for myself. From your choice of gifts for foodies, I would add the Blendtec blender to my holiday shopping list for my mom. I like that it can pulverize anything, and can be used for all blending needs, my mom would appreciate this, and use it often. 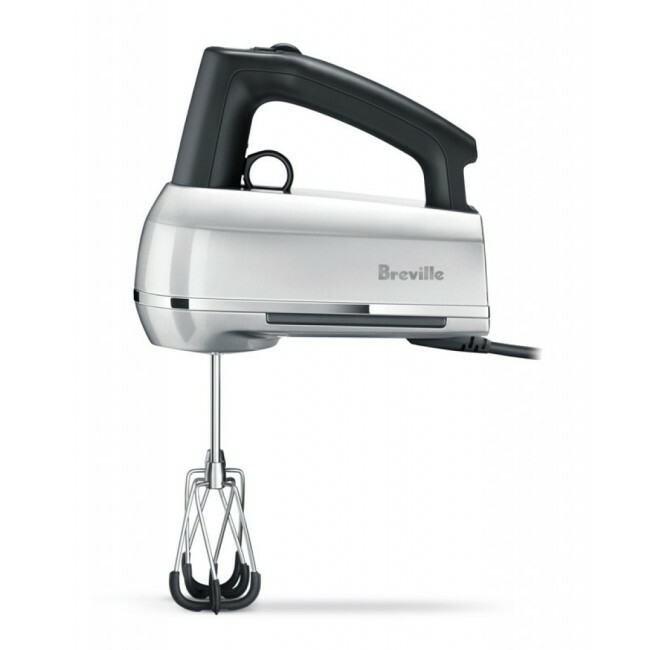 I would love to add to the “Breville – The Handy Mix Scraper” to my holiday shopping list and would buy it for my Mom! I would buy the Blendtec for my husband who loves smoothies! I would buy the Abeego wraps for my daughter. I would like to get the Abeego. I would choose the s’mores maker and gift it to my entire family who loves s’mores! I’d probably get the Blendtec for mom. She currently uses this 10 year old cheap-o blender that emits more smoke than smoothie lately, so she could definitely use an upgrade. i think the Salton S’mores Maker is so cool.i could gift it to almost everyone i know but i think my sister would especially love it. I’d get the Blendtec blender for my husband. I’d love to get the Salton S’mores Maker for a friend! It’s something people wouldn’t normally buy for themselves but would be so fun to own!